We're going to dig into the biggest differences between the two cases, but for all the details be sure to check out our full review of both the Smart Battery Case and the Juice Pack Access. Each case is similar on the outside with both weighing very nearly the same. They each have a matching silhouette with a slip top and bump covering the lower 3/4 of the phone. 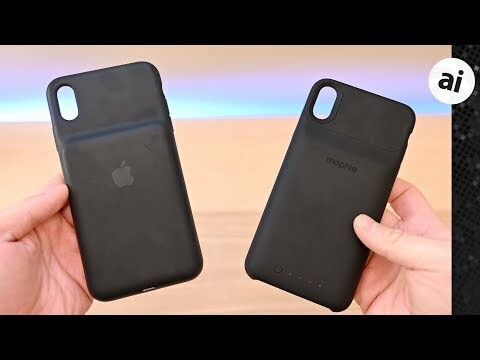 They have different methods for inserting the phone -- Apple's case opts for a flexible top portion that bends back and Mophie's is entirely solid and comes off with an internal clip. Because of this, they also charge your phone in different ways. 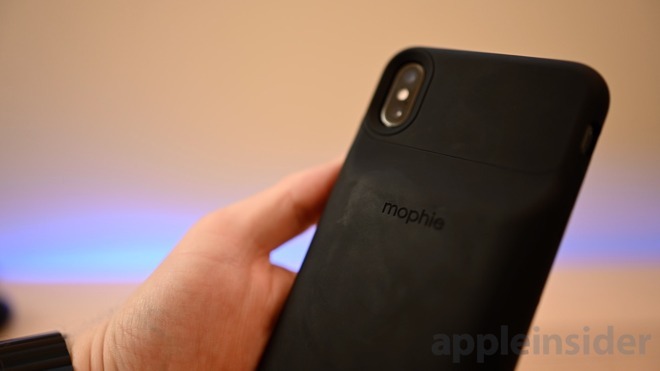 Mophie uses wireless charging while Apple's connects directly to the Lightning port. The biggest aspects for us are charging speed and power capacity. Apple gets the win in both of these aspects. For charging speed, the Mophie case uses wireless charging to move the power from the case to the phone. Because of space and power requirements, this speed is limited to 5W. In normal day-to-day use, this is a non-issue because the battery is meant to continuously top off your phone throughout the day. Where the speed does matter is when your phone and case are both tapped out and you want to charge your phone quickly. This case should easily get you through the day, so this situation won't occur too often. You also get the benefit of being able to easily charge the case and phone simultaneously with different cables while the case is still on your phone. 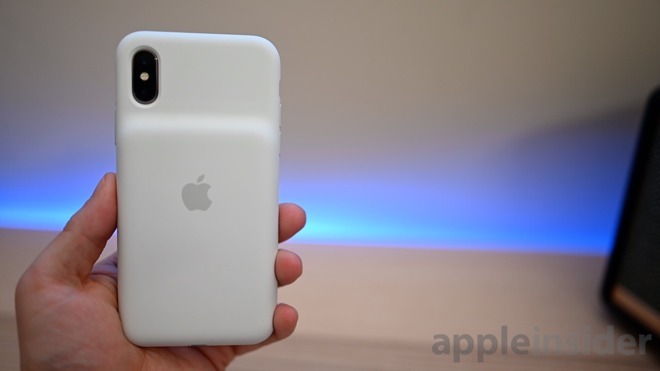 In regards to capacity, the Access case has a 2,000mAh battery in the XR and XS cases and a 2,200mAh battery in the XS Max. Apple is only using two 1,369mAh cells inside instead of just once, giving it more power than Mophie. To give you a better idea when looking at high-level usage times, Mophie claims you will extend your battery life to 31 hours of talk, 16 hours of internet, and 18 hours of video watching. Apple achieves 37 hours of talk, 20 hours of internet, and 25 hours of video. Part of the extended life is due to the larger capacity, and part is due to the integration with iOS. When the Mophie case is connected, iOS assumes it has just been plugged in to an external power source no different than an AC adapter, and ramps up high energy consumption tasks it reserves for wall power. 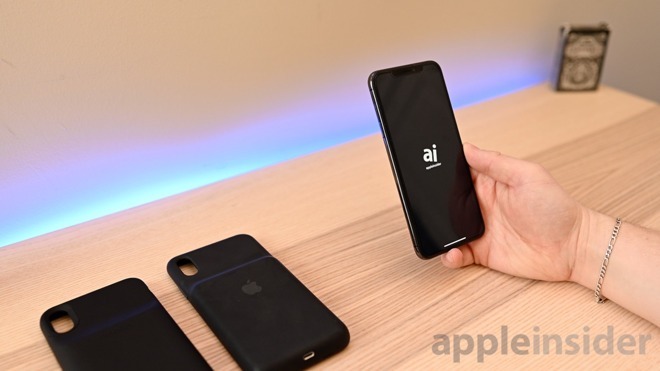 These background tasks are invisible to the naked eye but will cause the Mophie case to provide less use time to the phone than an equivalent cell normally would. Apple's Smart Battery Case has power management built right into iOS, preventing this from happening. Depending on what you're looking for, there is a case for everyone. Here is a summary of which to choose and when. Shoppers can also order the case on Amazon; however, there is a longer wait. Apple’s gives you an extra seven hours of video playback. That’s a lot. Where are all the members who crap on Smart Battery case for its looks and “lowly” battery capacity???? 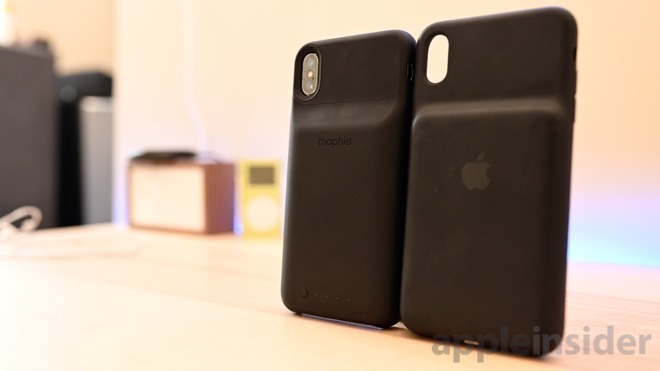 I was surprised as well to see Mophie use a virtually identical form factor. Seems like it would make more sense to have the battery extend all the way up and make the entire case thinner. Beyond thst, though, I can’t see the Mophie case being worth the $30 savings over the Apple case. As the article states, the phone makes power decisions assuming it’s plugged in, essentially wasting power. Mophoe’s decision to use wireless charging is puzzling, too, since wireless charging wastes 10-20% of the energy, it means the 2000mAh battery is effectively reduced to 16-1800 mAh. Really stupid for a device whose entire purpose is to maximize the amount of time you can go before needing to charge.